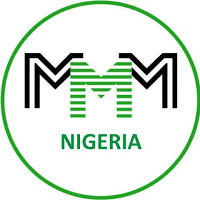 SEC on its website, said, “The attention of SEC, Nigeria has been drawn to the activities of an online investment scheme tagged ‘MMM Federal Republic of Nigeria (nigeria.). The platform has embarked on an aggressive online media campaign to lure the investing public to participate in what it called ‘mutual aid financial network’ with a monthly investment return of 30 per cent. I know most of you may still not agree with the above but please apply common sense… Don’t invest all your money in MMM. I know that even common sense is not common.